Stage • One of the Utah Shakespeare Festival’s all-time favorites, now a Broadway veteran, will perform a one-man play for students. (Courtesy photo) Actor Patrick Page was a mainstay at the Utah Shakespeare Festival and Pioneer Theatre Company in the 1980s. Patrick Page returns to Cedar City this week, sharing Shakespeare’s thoughts on evil with audiences who weren’t yet born when the actor’s portrayals of Richard III, Iago and Macbeth made him one of the Utah Shakespeare Festival’s legendary figures. Page will perform a brand-new one-man show, “All the Devils Are Here,” for students attending the high-school Shakespeare competition presented by USF and Southern University. (Courtesy photo) Patrick Page played the title role in "Macbeth" for the Utah Shakespeare Festival in 1989. First, Utah State University in Logan invited Page to give a convocation lecture for its Caine College of the Arts. As long as he was out West, the actor reckoned, he could perform at the fall gala of Arizona Theatre Company, where his friend David Ivers, former co-artistic director at USF, recently signed on as artistic director. Then Michael Littig, co-founder of Page’s acting studio in New York, mentioned he was adjudicating at the USF/SUU Shakespeare competition the next weekend and suggested Page sign on as well. It isn’t that far from Tucson to Cedar City, after all. What is the nature of evil? How can good people be brought to commit bad acts, and can they be rehabilitated? Those questions appear throughout Shakespeare’s 37 plays, said Page, who will trace the Bard’s treatment of that theme in “All the Devils Are Here.” (The title comes from a line in “The Tempest.”) There will be no costumes or props, just the power of his voice. As was the custom in Shakespeare’s time, when actors playing Julius Caesar and Mark Antony wore doublets and hose rather than togas, he’ll dress in contemporary clothing. Page’s résumé also includes high-profile Broadway appearances such as the Green Goblin in “Spider-Man: Turn on the Dark,” the Grinch in “How the Grinch Stole Christmas!” and Scar in “The Lion King,” “but Shakespeare is his roots, and I can’t wait for people to see him here in Cedar City on our fantastic stage,” Bahr said. Patrick Page portrayed Shakespeare's rival Ben Jonson in the Utah Shakespeare Festival's 1989 production of the one-man play "Nothing Like the Sun." Page wrote and starred in a similar one-man survey of the Shakespeare canon, “Passion’s Slaves,” nearly 30 years ago. “I really can’t do that one now,” the 55-year-old actor said of the anthology that includes characters like Mercutio, Benedick, Hamlet and Richard II — men in their 20s and 30s. “All the Devils Are Here” focuses on more seasoned men: Macbeth, Prospero, Falstaff, Shylock. Wait, Falstaff’s a bad guy? 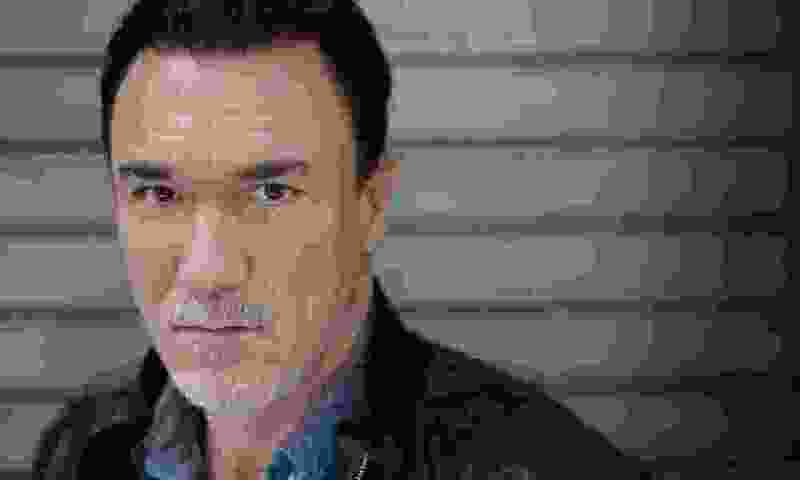 Patrick Page will offer the Caine College of the Arts’ convocation lecture in Logan and will give a public performance of his new one-man show, “All the Devils Are Here,” in Cedar City.